Congratulations to Tiger Muay Thai alumni Brian Ebersole who successfully improved his record inside the UFC octagon to 3-0. Fighting the highly regarded Canadian prospect Claude Pattrick, Ebersole utilized tough submission defense and dominate position to win a split decision following 15 minutes of action. 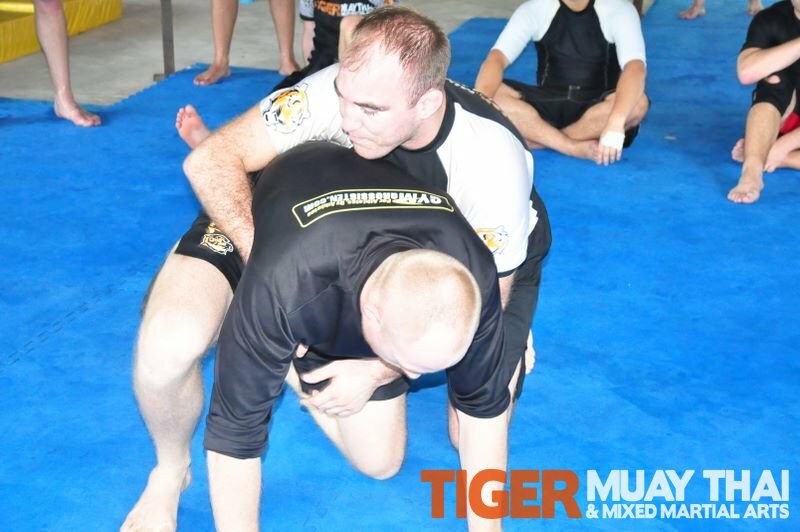 Brian Ebersole utilized Tiger Muay Thai and MMA Phuket for his pre-ufc training camp. Working with Professor Elbe, Ebersole was able to crosstrain with Japanese stars Riki Fukuda, Misaki, in addition to JJ Ambrose and Tommy Yang as he conducted yet another successful training camp at the TMT facilities.